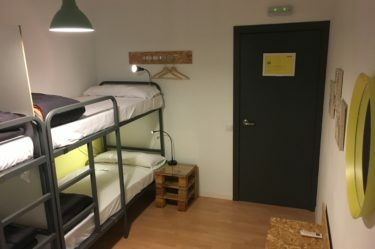 Bed & Bike Barcelona is the best choice of hostel for travelers seeking an oasis of comfort and tranquility in the center of Barcelona. 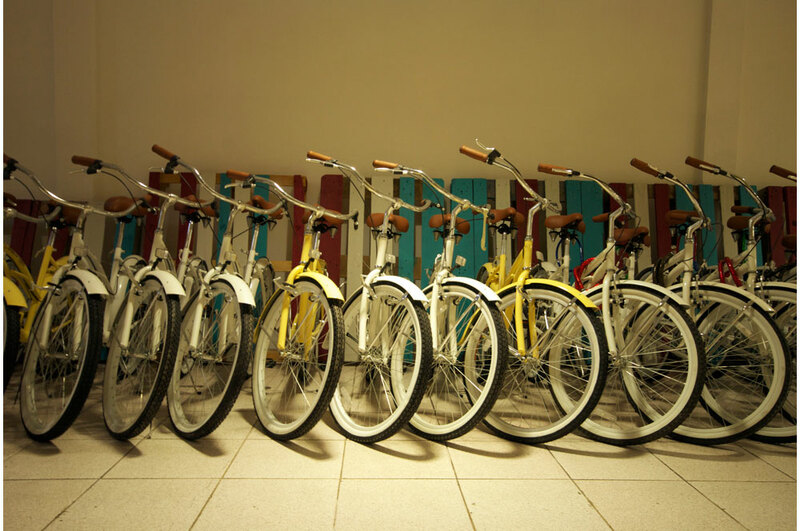 In addition, you can enjoy our bike rental service. During the day, hop on one of our cool bikes and explore the most authentic parts of the city. In the evening, enjoy a dinner prepared by yourself in our fully equipped kitchen. And when sleep overcomes you, rest in one of the comfortable and spacious rooms that we have prepared with love. Discover Barcelona cycling with Barcelona Bed & Bike and turn your stay into a memorable experience which will make you want to come back soon. 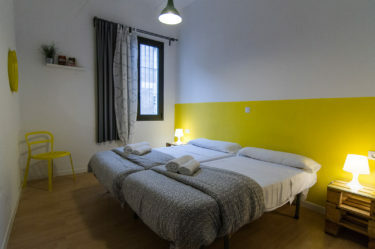 We take care of the rest every day: warm, personal touch and attention to every detail related to the cleanliness and proper functioning of the hostel during 24h. Ultimately, our goal is to create a relaxed and friendly atmosphere to make our guests feel at home and enjoy their stay in Barcelona. We hope to welcome you personally very soon. Im thankful of everything Emoticono smile Great hostel, awesome stuff!! I will definitely be returning to bed and bike, the staff are so welcoming, the prices are reasonable and the place is so tidy. Not to mention free use of the bikes, free Internet and excellent kitchen facilities. I met some of the nicest people here who I am still in contact with and are planning a reunion in the future! Highly recommend to anyone. 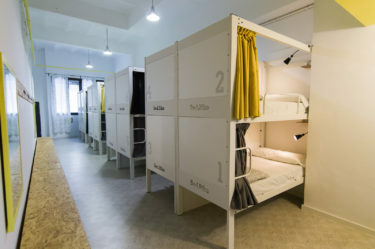 Clean and new looking hostel. Staff were very friendly and helpful, especially Richard, who gave us great advice for what to do during our 3 days in Barcelona. We had a private room which was simple but had all we needed, especially air con. Highly recommended. Best hostel I’ve ever been to ! Open concept, big rooms and bathrooms, super clean, nice helpful staff and free bikes. You feel at home, I definitely recommend this hostel! Excellent place. Even better staff. Keep up the great work. Super friendly staff, awesome facilities, great atmosphere, pretty close to public transport, cool design. 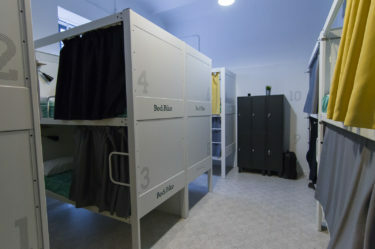 Only negative was that the beds in the room were really close to each other so there was own space. Me and my brother booked a couple of nights at this place, ended up staying 4 nights. The hostel itself is very simple and practical, big kitchen, big sitting area, 4 computers and free bike rental. The staff is very helpful and should have alot of credit for our good experience. The argentinian guy working there really loved to help out. Copyright © 2015 Bed and Bike Barcelona. All right reserved.